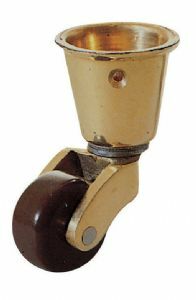 Solid polished brass wheel, frame and cup. 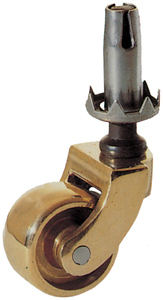 Excellent quality - English made reproduction castor. Solid polished frame and cup. Brown china wheel. 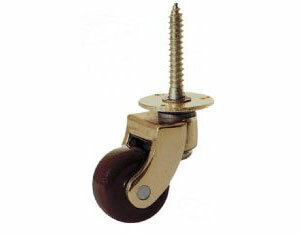 Solid polished brass wheel and frame. Solid polished brass frame. 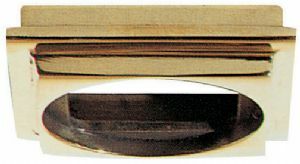 Brown china wheel. 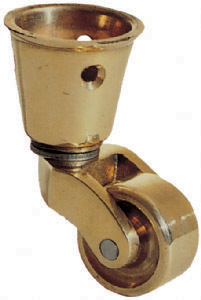 Solid polished brass square castor collar. 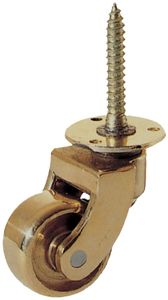 For use with the screw castors 1033 and 033. 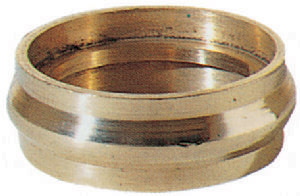 Solid polished brass round castor collar.